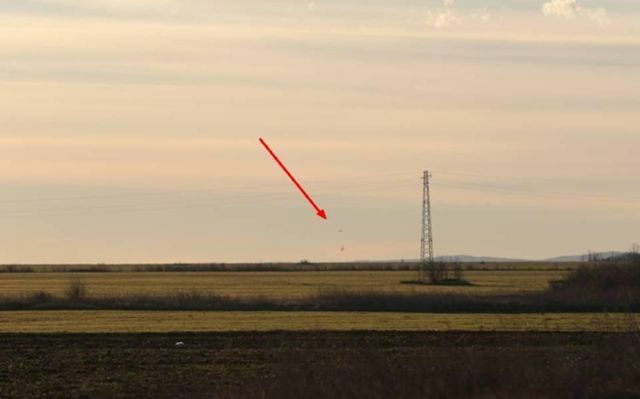 The following unique images were taken on January 14, 2016 near Nova Zagora in Bulgaria and show two fighter jets chasing a UFO. 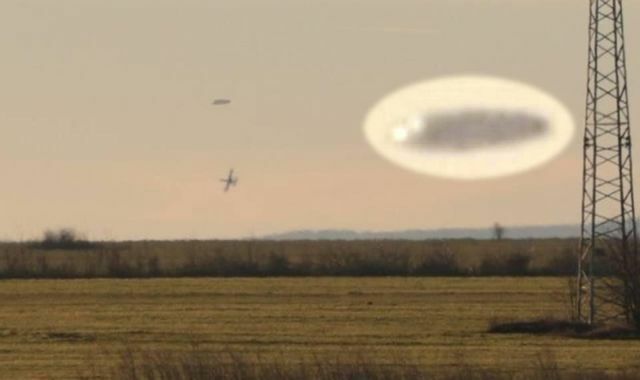 The fighter jets and the UFO were flying at very low altitude over three small villages, Stoil Voyvoda, Zagorci and Han Asparuhovo. 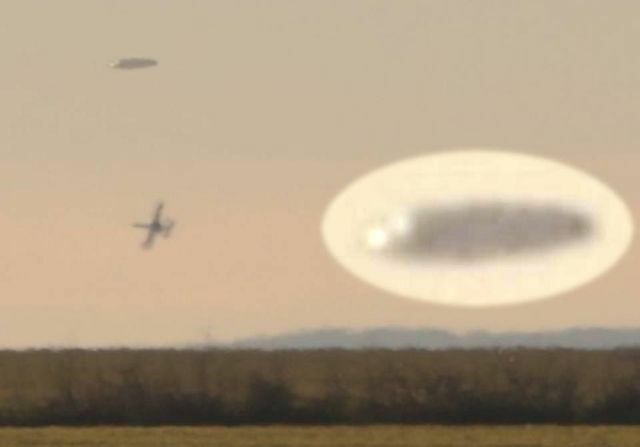 Local citizens said that within minutes the UFO, which made no sound, suddenly changed its position, which caused spectacular maneuvers by the two military craft. At one point the UFO disappears at high rate speed leaving both fighter jets behind. Note: This 'flying saucer' situation is not imaginary or seeing too much in some natural phenomena. They are real and flying around. 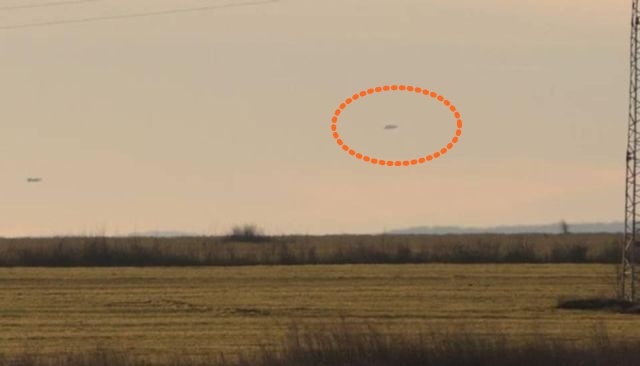 However, in my opinion, this UFO is not a craft piloted by aliens it’s more likely a man-made secret project UFO and piloted by black-ops pilots. 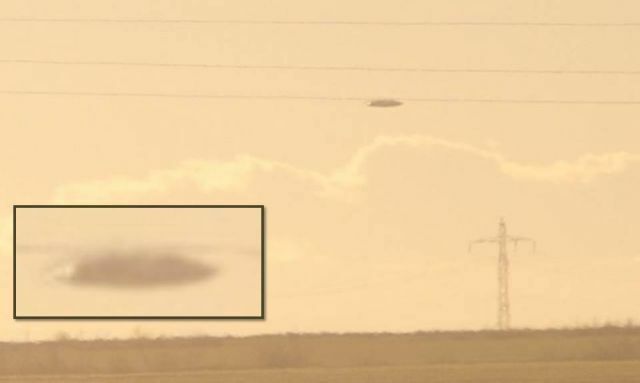 Whether it is a UFO from outer space or it is a man-made the images below are strong evidence of the UFO phenomenon.